Killer Characters: Spring Has Sprung! April is a wonderful month. For the most part the snow is melted. Flowers start to bloom. Trees are turning green and there is a hint of summer in the air. It's a nice relief after a long winter. What I like about April on Mackinac Island is that people are returning. It's not tourist season yet, but workers return to paint the houses, work on remodels and other construction, and spruce up the gardens. There is so much activity in preparation for the season opening in late May. 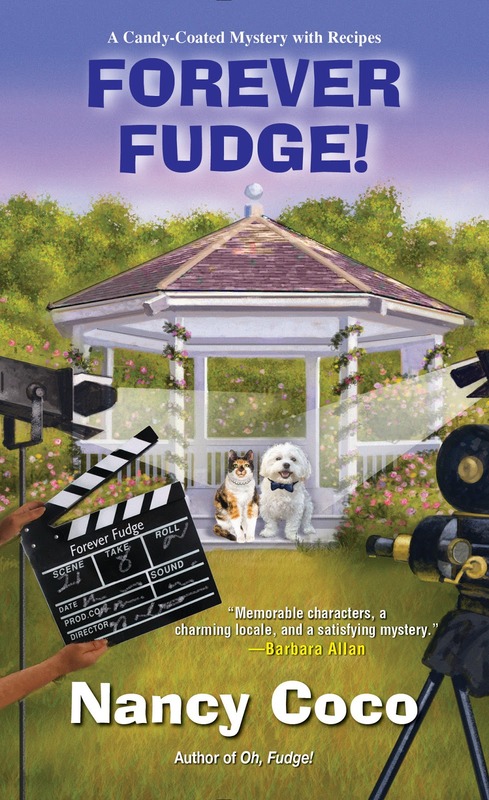 Hi, I'm Allie McMurphy and I run a fudgeshop and hotel on Mackinac Island Michigan. My sweet pets, Mal,a bichon poodle mix, and Mella, lovely calico cat are excited to see the snow melted and the buzz of activity on Main Street. Want a sneak peak at Mackinaw Island prepping for the summer season? Yes, there's a lot of construction going on. But we wouldn't have it any other way. What is your favorite part of April? Leave a comment below for a chance to win a Candy-coated Mystery. I love the return of the flowers. Interesting video. My dad's & my sister's birthday are both in April, so that's always fun. In south Florida it means fewer people and shorter lines in stores and restaurants. My lilacs are in bloom in April. I love this time of year to get outside and work in the garden. April is my birthday month. Got to love that. Everyone seems in a happier mood in April. The birds are singing, the pets get to go outside and the flowers are smelling delicious. It is my favorite time to sit out on the patio and read. The flowers blooming and being able to work on our veggie garden. I love that's it getting warmer and almost time to open the pool. And I love that there are days where it's warm enough to sit beside an open window and read.